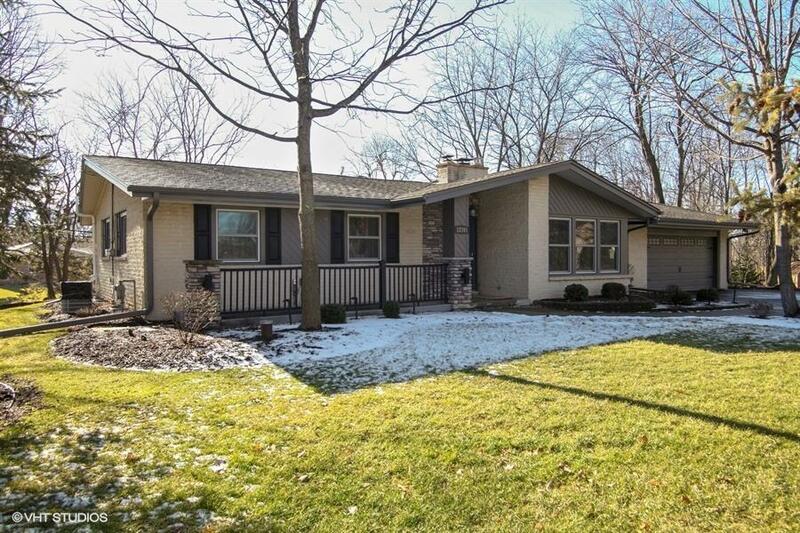 Outstanding Mid Century Exposed Ranch W/ Full Walk Out Lower Level Perfectly Situated on a Picturesque Park Like .99 Acre Lot in the Sought After Whitnall School District.Stunning Open Concept Floor Plan Includes a Sunlit Living Rm W/ Hardwood Floors & NFP. Brilliantly Designed Kitchen Includes Amazing Cabinet Space, Breakfast Bar, Spacious Dinette & Natural Fireplace. Master Bed Rm Suite W/ Luxurious Master Bath. Second Bath W/ Double Sinks & Whirlpool Tub. Great Back Foyer, Main Level Laundry & Amazing Sun Rm!The Magnificent Lower Level is a Must See! It Includes Private Home Office/ Den, Incredible Family Rm with a Spectacular Full Kitchen.Spacious 4th Bed Rm With Daylight Window and NFP. Beautifully Appointed Third Bath. Storage Area Under Sunroom (Backyard Access).Beautiful!